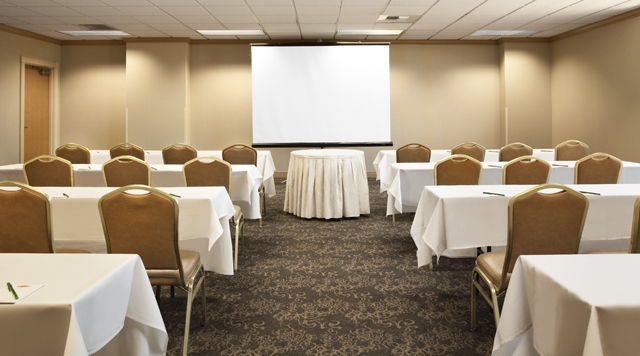 Tastefully appointed and fully-equipped rooms can accommodate all sizes of functions. Elegant décor creates a stately ambiance in the Grand Ballroom, a flexible function space that can be divided and set up to accommodate events that range in size from 135 to 1,080 guests. 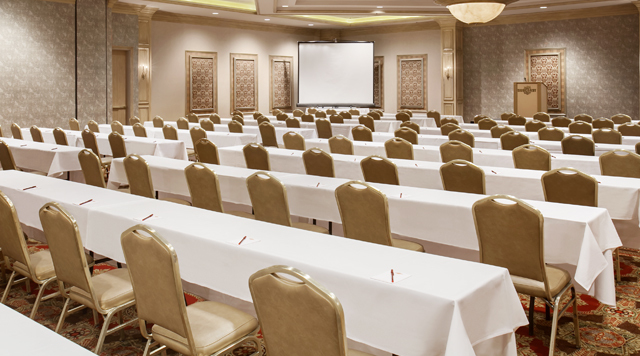 Ideal for a variety of events, the Madrid Room can be divided in half or used as a whole with a capacity of 390 guests, depending on the seating arrangement. With its elegantly arched ceiling, floor-to-ceiling windows, and beautiful décor, the Sunrise Room is the perfect venue for an elegant function of up to 166 guests. 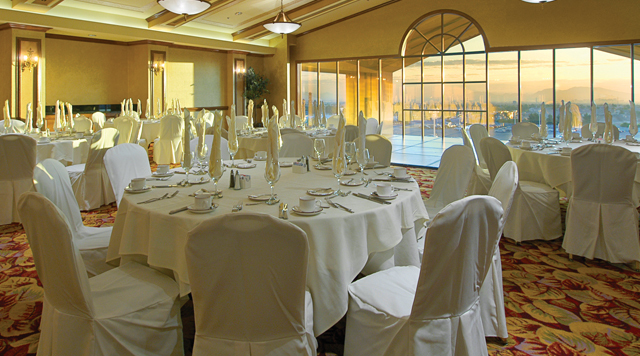 If you're planning a mid-size function, one of the four Fairway rooms will suit your needs. These flexible rooms will accommodate events from 30 to 80 guests, depending on the seating arrangement.